A man is wanted by police in connection with a two-month string of thefts at a popular high street store. 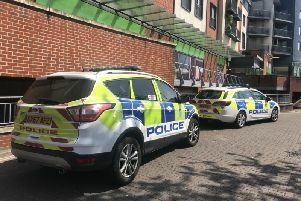 Sussex Police said that two men are believed to have been responsible for the theft of more than £1,600 worth of products from the Boots store in East Grinstead over the past two months. They have been seen in the London Road shop on several occasions since August and on the most recent visit a female security guard who challenged them was pushed aside, police said. A man police would like to speak to in connection with the incidents is seen in the image above. Anyone who recognises the man or has other information regarding the incidents can email 101@sussex.pnn.police.uk or phone 101, quoting reference 808 of 23/08.